On the edge, thrillingly high above the fjord. On top of the waves, with surf in your heart and sea water in your hair. 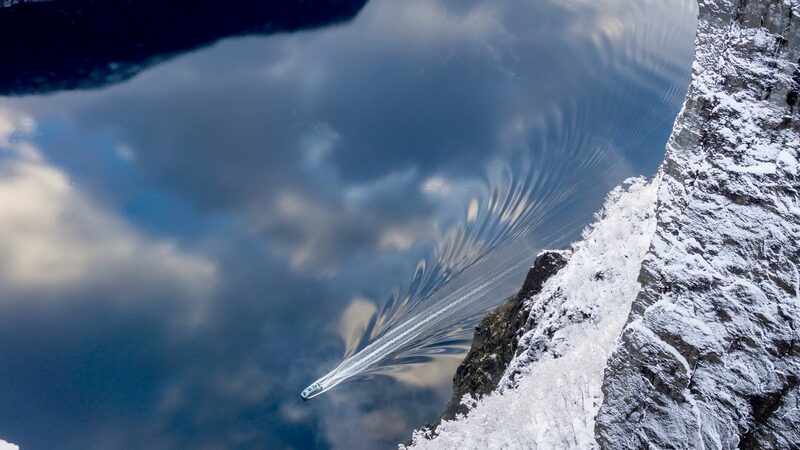 Splashes of snow and a beating heart at the bottom of the alpine slopes. Thoroughly sweaty after the bike ride along the roaring North Sea. Svandalsfossen waterfall roars at you on top of the stairs. Just imagine the mind-blowing feeling of adrenaline rush in a mountainside along a Via Ferrata climbing route. Tearful and emotional at a concert or an art exhibition. Street art in pouring rain and a steaming hot espresso at Fargegata: It's waterful. The stream you drink from is the same that the Viking king Olav Tryggvason drank from more than a thousand years ago. Langfoss waterfall drops down the steep mountainside with great power, looking like a bride’s veil from a distance. And when the wind is blowing and the sea is rough; that’s when the true beauty comes to live. That’s when you feel the power of nature, turning the sea white with harsh waves hitting the shore. The buildings slightly shaking in the storm, the movements of the wooden materials giving away small sighs in the wind out there by the sea: It’s waterful. 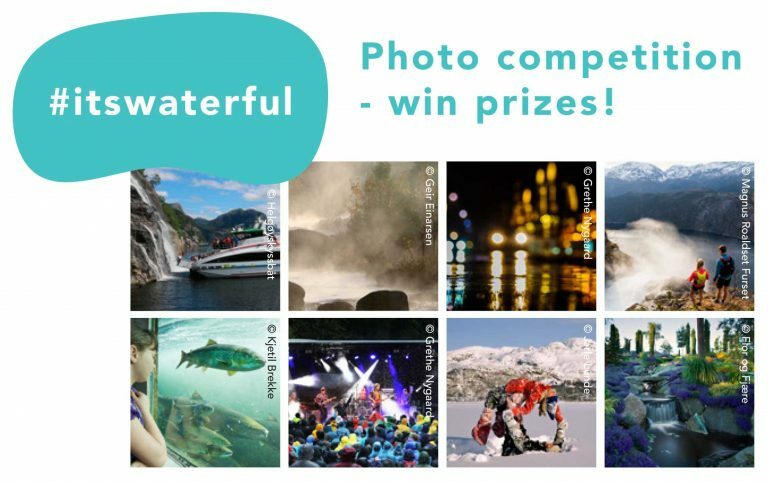 Photo competition 2019 - win prizes! Show us your best – or wettest – adventures in the Stavanger region, Ryfylke and the Haugesund region. Post the photo on your Instagram page, hashtag with #itswaterful19 #itswaterful and tell us where it has been taken. Once a month, we draw a winner to receive a fantastic experience for two with one of our partners. Conditions: You must have an open profile and we reserve the right to use submitted photos throughout our marketing channels. Welcome to the south of Fjord Norway! The essence of life, the essence of Norway.